I can’t believe November is here already! I’m pretty sure I feel this way at the start of each month but I swear time starts flying by the older you get. With November comes my favorite holiday, Thanksgiving! I’m super excited to head home to visit my family for Thanksgiving. It’s been too long since I’ve seen them and I’m sure my nephews have grown so much in the last two months. They were both dinosaurs for Halloween this year and I might be biased but they were the cutest! Anyway, I wanted to continue with my monthly roundups because it’s a good way to hold myself accountable and see how things are progressing. Plus, I get to share my favorite moments and tools from the month. Read September’s roundup here. or check out the archive. 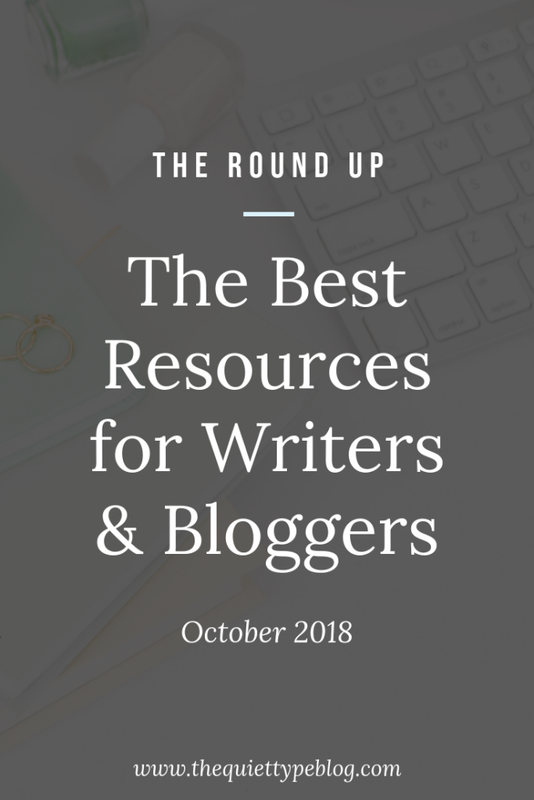 October was my first official month as a full-time freelance writer and I was super nervous about finding more clients to build out my client roster. Luckily, I was able to meet my goal and connect with two new clients in October! The first is a marketing firm that works in the housing industry. Starting in November, I’ll be working with them to produce blog posts, social media content, and copywriting projects for their clients. This was a total coincidental thing, actually. We had spoken in February about her hiring me to work on a different business she runs, but that didn’t work out. Since she’s located near the city we just moved to, I thought I would reach out and let her know I was now in the area and would love to connect. Funnily enough, the marketing firm is her main business and she needed to hire a writer. It was the weirdest thing in the world…I had no idea she worked in the housing industry but the stars aligned perfectly for both of us. The other client I will be working with is a referral from one of my long-time clients, which is awesome. Building credibility as a freelance writer by providing clients with the best possible experience is so important. It get’s them excited to keep working with you and they have no problem passing along your info to their friends! It took me about a week and a half to get through the Killer Cold Emailing course. I definitely could have finished it sooner, but I didn’t want to overwhelm myself with too much content at once. Instead, I blocked out 2 hours a day to go through the course and implement what I was learning. That really seemed to work for me! 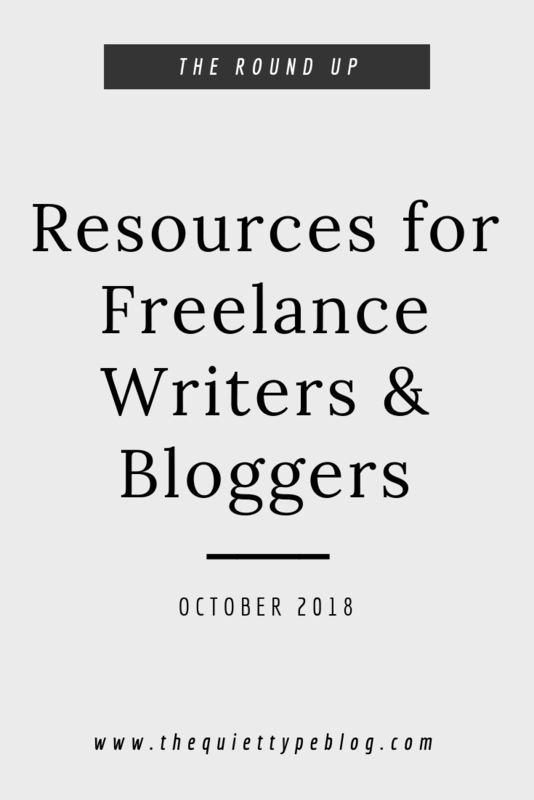 There was so much useful information in the course and even though I’m not new to freelance writing, I’ve only cold emailed a few times, so I learned a lot. I really liked how in-depth Jorden got and she even provided examples/templates which I’ve referred to quite a bit already. Let me know if you’d like to see a full review of the course and the bonuses I received in the bundle I purchased! So, when I built my first writer’s website, I used Wix. I can’t complain too much because I actually really liked Wix. They have easy to use templates, or you can build your site from scratch any way you want (which is what I did). My plan was set to renew in November, but I decided I would rather have one web host for both of my websites so it made sense for me to transfer my domain to SiteGround. This process was so simple, I couldn’t believe it. When I purchased my hosting plan for this blog through SiteGround, I got the Grow Big plan so I could host multiple sites, so to move my domain from Wix to SiteGround all I had to do was pay the domain transfer fee and request my domain be unlocked through Wix. SiteGround took care of the rest! The only time I ran into an issue was when I was trying to download WordPress for my business site. Even that was resolved in under 10 minutes! All I did was set up a chat with SiteGround’s customer service and explain what I wanted to do and they took care of it. I’m so glad I went with SiteGround! Since my site was built on Wix’s platform, I wasn’t able to mitigate it to WordPress, which meant redesigning my website from scratch. This probably would really annoy me normally, but since I’m freelancing full-time now I wanted to do some rebranding anyways. To be completely honest, I got very much inside of my own head while trying to redesign my site. For some reason, writing the copy for your own site is extremely hard (or is that just me?) but I’m almost done with my new site. I decided to create a new branch of my business so I can target the housing industry (my niche) while also keeping my flagship site as my primary writing portfolio. The new site is House to Home | Copy & Content Writing, which will provide services to real estate, property management, home building/remodeling, and interior design fields. Once that’s done, I have to get moving on redesigning my main site, katiejenison.com. The good news is that website should be done a lot quicker! I’m 1/2 here. Partly because I didn’t write the blog post that would have corresponded with the second opt-in freebie. I think I’m going to push that blog post for sometime in December, so I’ll create that freebie at the same time. 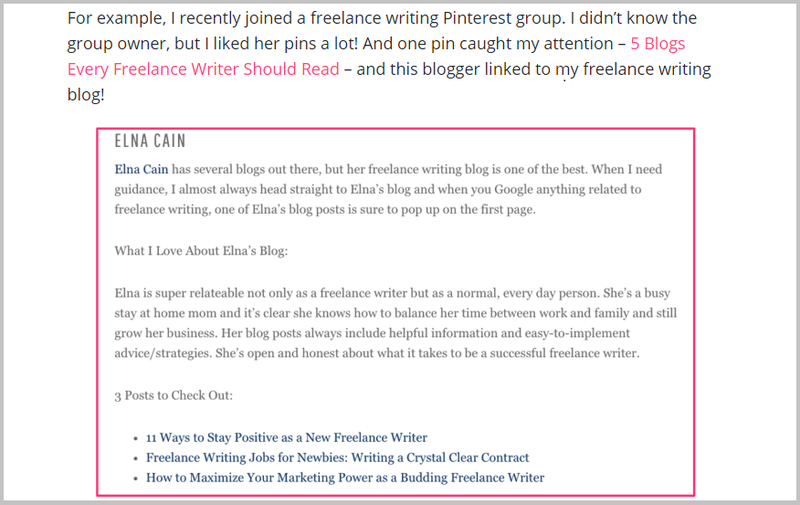 I did create the opt-in that corresponds with my blog post on how to set a freelance rate though! 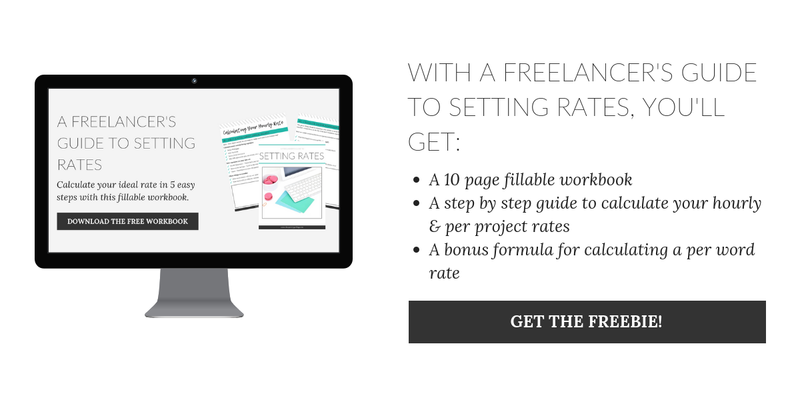 Click here to grab your free copy of A Freelancer’s Guide to Setting Rates. My new website(s), client work, and the remodeling projects we’re doing on our house took up a lot of my time in October. I’ve got a plan and a general design idea figured out by implementing it is another thing all together. I’m making it a priority in November, though! 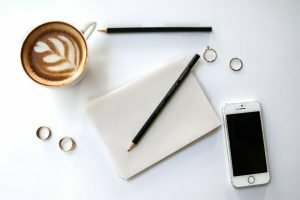 Awhile back, I wrote a blog post on the 5 Best Freelance Writing Blogs. At number one was Elna Cain (if you haven’t checked her out yet, do it!). 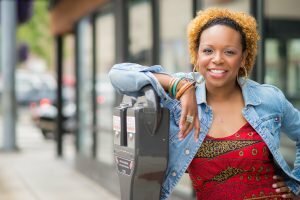 I found her freelance writing blog when I first started freelancing and it’s one of my favorite resources even now. 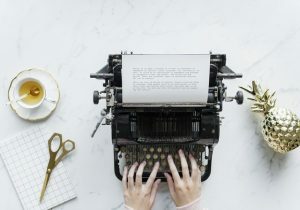 She has such awesome advice for freelance writers new and old, and I highly recommend her blog. Anyways, I found out she featured a screenshot of my blog post in a post on her other blog! Psst…Click here for an invitation to join my Pinterest group boards. It seriously made my day and I’m still so excited about it! Read Elna’s full blog post here. My reading goal for October was 5 books. I managed to double that with 10 books. 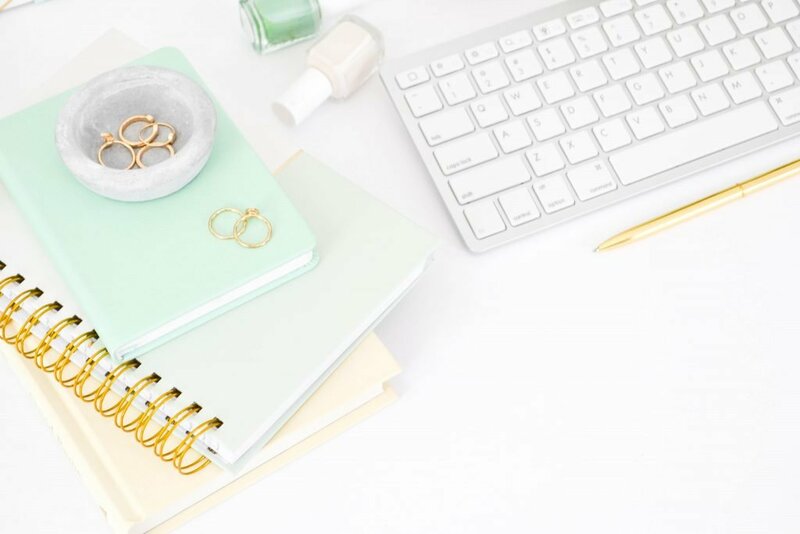 Last month, I talked about The She Approach’s Guide to Making Pinterest Possible, which I wrote a review about in September. Now you can get $5 off! Use the code TSA5OFF for $5 off any of the eBooks/courses Ana offers. Check out her site here. The two freebies from Ashlyn Carter were a big help while redesigning my business website (and establishing a new branch of my business). I especially love the Website Copy Template because I can use the tips I learned from it with my own clients. Here’s what I have planned for November. I think these goals will definitely keep me busy in November, especially since I will be taking some time off to visit my family over Thanksgiving. What about you? What are your big goals this month?